Insurance is another key that not many property investors really pay attention to. 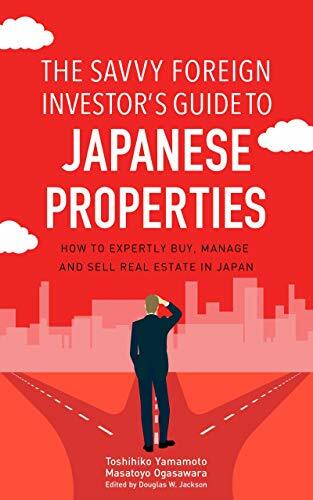 In Japan, insurance is normally provided through your real estate broker when you buy the property. Compared to the actual amount of money you are paying for the property, the insurance premium is rather small, but still it costs the equivalent of around ten thousand dollars to cover damage from fire, flooding and earthquakes for ten years. The premiums, however, depend on the price and size of the property. Once you buy the insurance, it pays to review the terms of insurance periodically. It can hurt you if you don’t, as I found out when there was flooding in Chiba because of a typhoon. Water got into the ground floor of my building, which is being used as an office. It damaged computers, and the tenant complained. I put in a claim against my insurance, but the insurance broker told me this case was not covered, so I had to pay ten thousand dollars out of pocket. As I said, it’s normal for the real estate broker to provide the insurance company, and a broker may also be an agent of the insurance company as well because the insurance company knows they deal with owners. Since the broker is the insurance agent for a particular insurance company, he or she will naturally propose using that company’s insurance. They just propose Package A or package B, and ask you to choose. This is true of almost all insurance agents in Japan—they’re basically just sales agents, so you need to be very careful when you buy insurance in Japan.